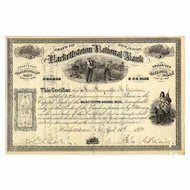 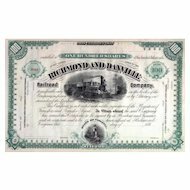 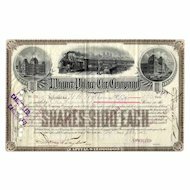 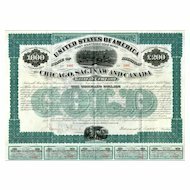 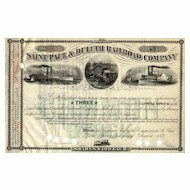 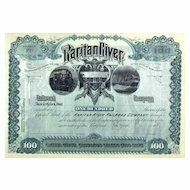 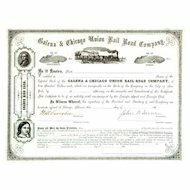 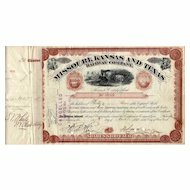 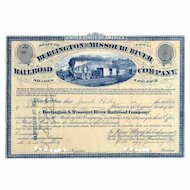 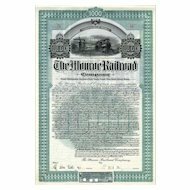 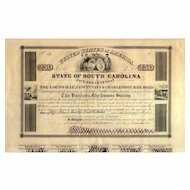 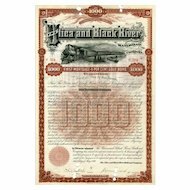 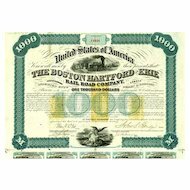 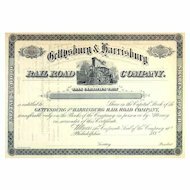 1873 New York Boston & Montreal RW Bond Certificate. 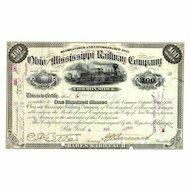 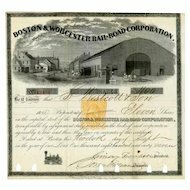 Very attractive New England railroad scripophily bond with vignette showing profile of "America" steam locomotive with coal car in front of small station. 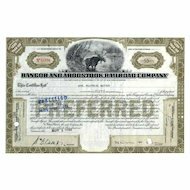 A large impressive bond with 60 coupons attached at bottom. 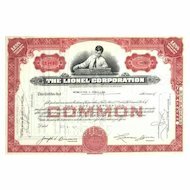 EF condition.